Hey, everyone! Today I am going to share with you all what I received in my May Ipsy bag. I was content with the products I got this month since it was a nice mix of beauty and skincare products. 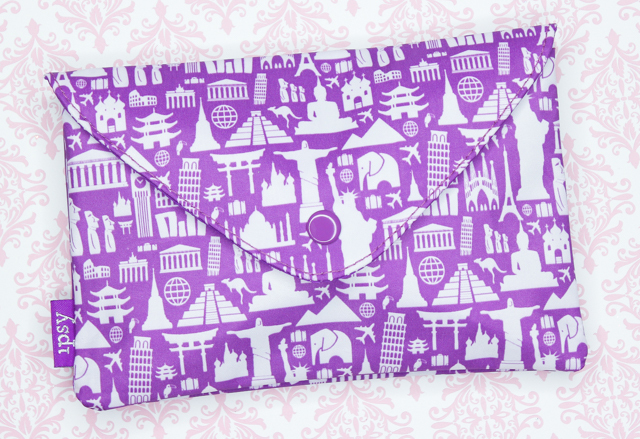 And the purple, envelope-style bag that my items were neatly packaged in, couldn't have been anymore adorable! 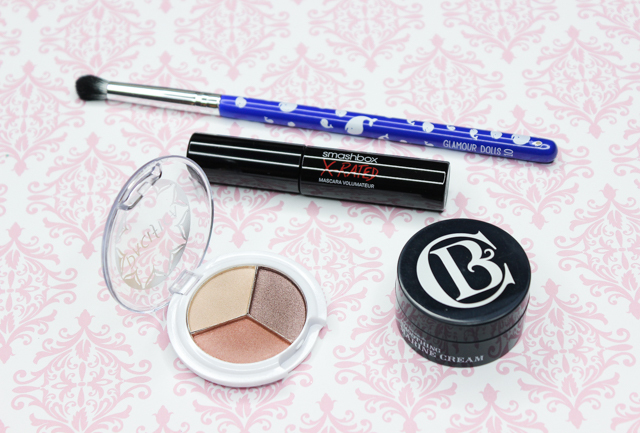 Pacifica Natural Mineral Coconut Eye Shadow Trio: These coconut-infused shadows are very pretty. They have a smooth texture, and I like that the colors are fairly pigmented, but in a subtle way. I have a feeling that these three shadows are going to be one of my go-to's when I am going for a subdued, natural eye look. Glamour Dolls Blending brush #10 Sperm Whale Edition: Tools are one of my favorite products when it comes to beauty subscriptions, so I was really happy to see this brush included in this month's bag. This brush is super cute, and the perfect size for precisely applying and blending eye shadows in the crease. Smashbox X-Rated Mascara: I typically have good results with Smashbox mascaras, and I am looking forward to trying this one. The formula contains fibers which help lengthen, volumize, and define lashes. It's also clump-proof and smudge free. Clark's Botanicals Smoothing Marine Cream: This moisturizer contains jasmine and glycolic acid to soothe and balance skin-something my skin could use lots of. I can't wait to give this a go. 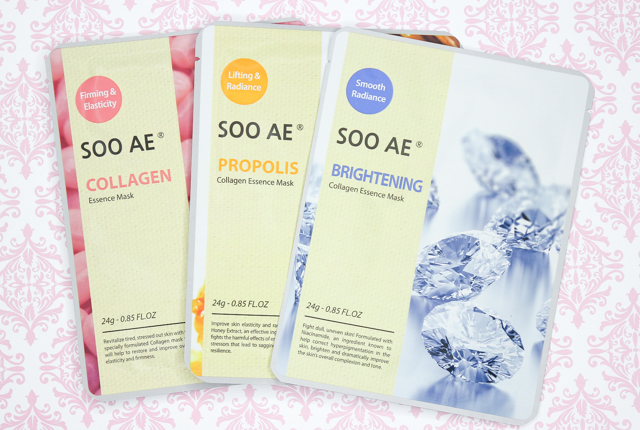 Soo AE 3 Collagen Essence Sheet Mask Set: Masks are essentials when it comes to skincare, and these three are sure to be a treat to use. I think I am going to try the Brightening one tonight!